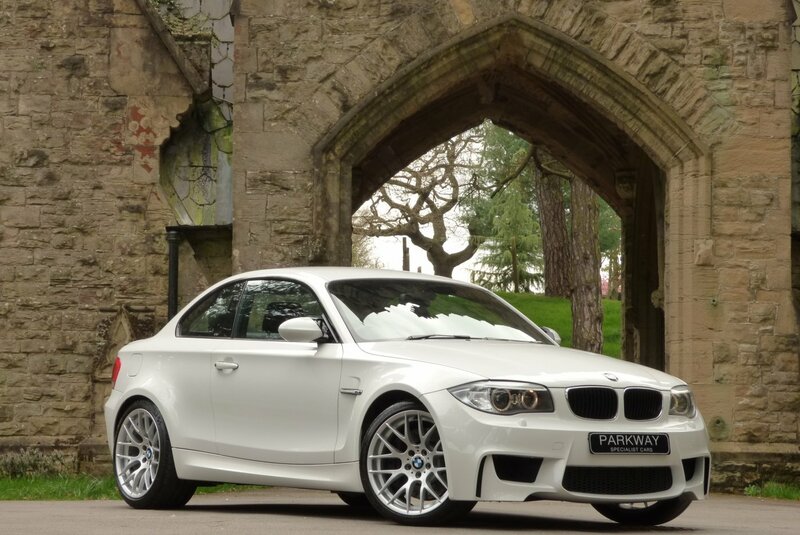 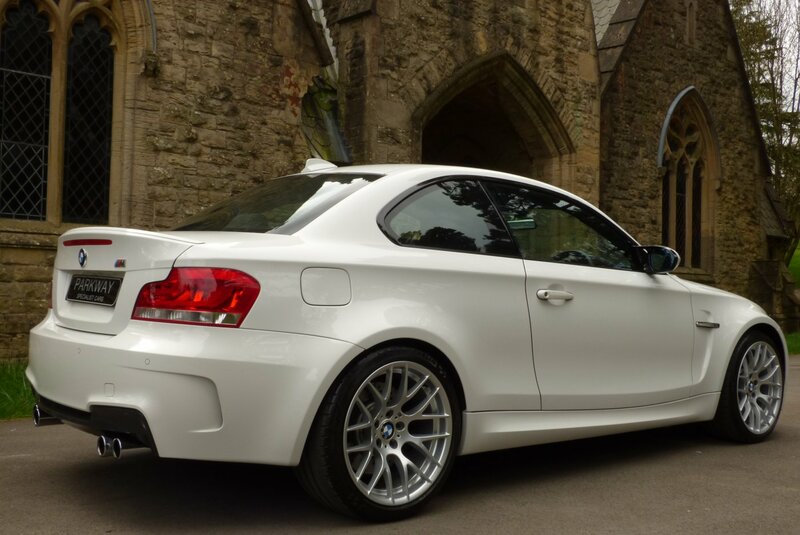 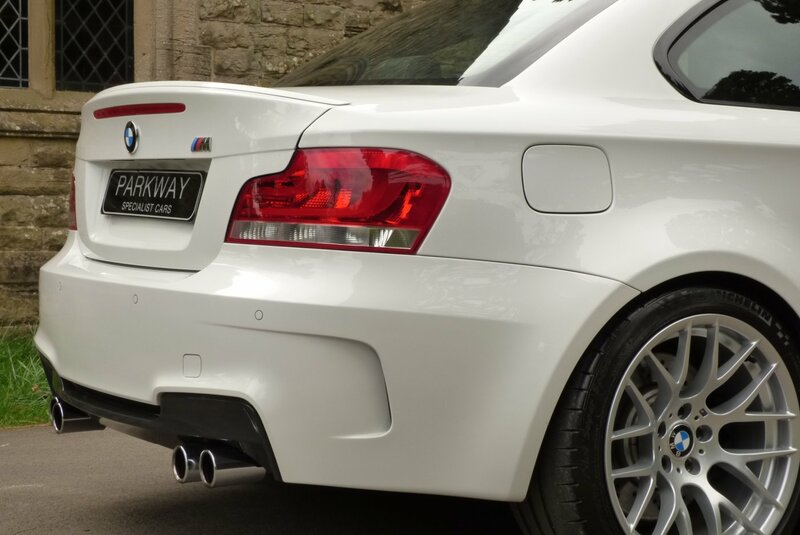 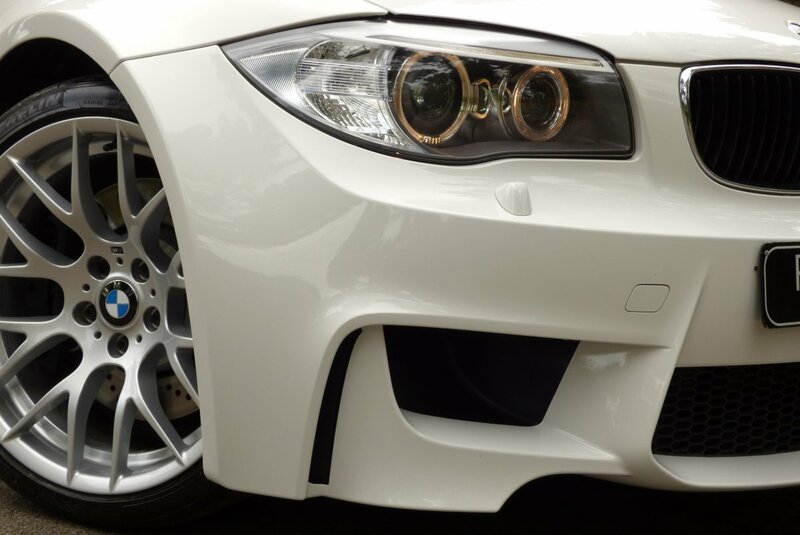 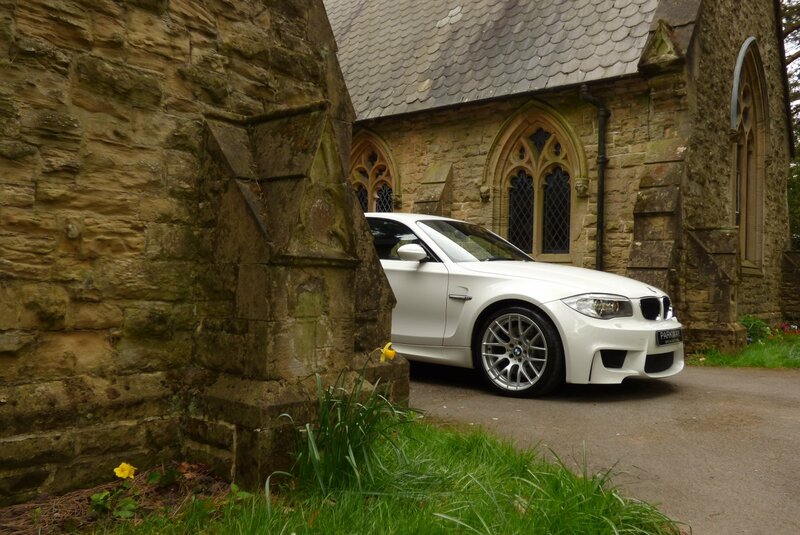 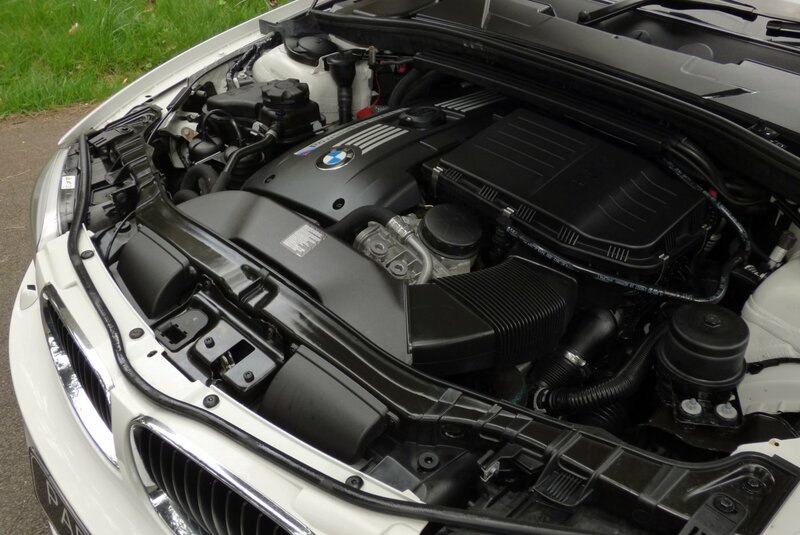 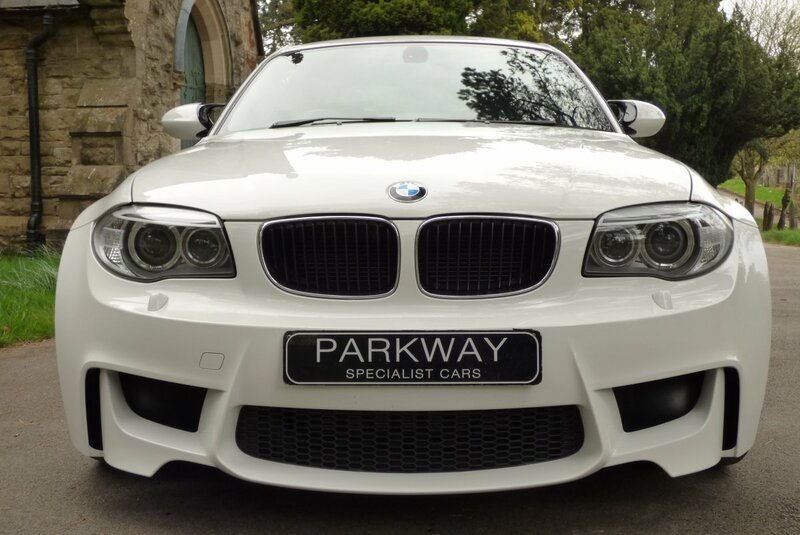 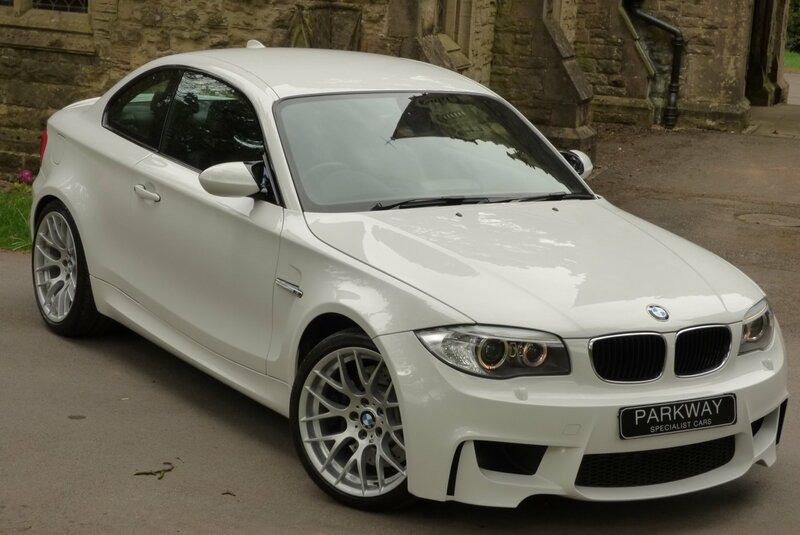 The BMW 1 Series M Coupe Was Introduced As A High-Performance Version Of The BMW 1 Series Coupe And Was Developed By BMW's Motor Sport Branch BMW M. While BMW Naming Convention Would Have Called The Car The "M1", The Name "BMW 1 Series M" Was Used Instead, To Avoid Confusion With The Original BMW M1. 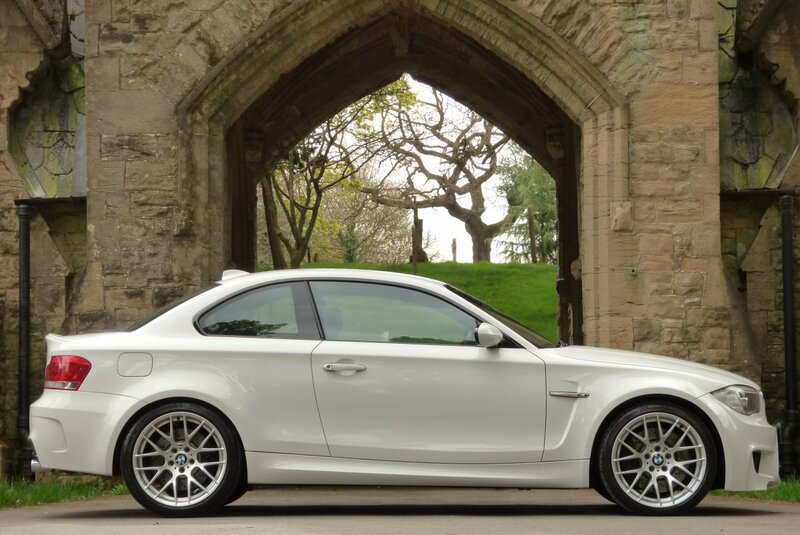 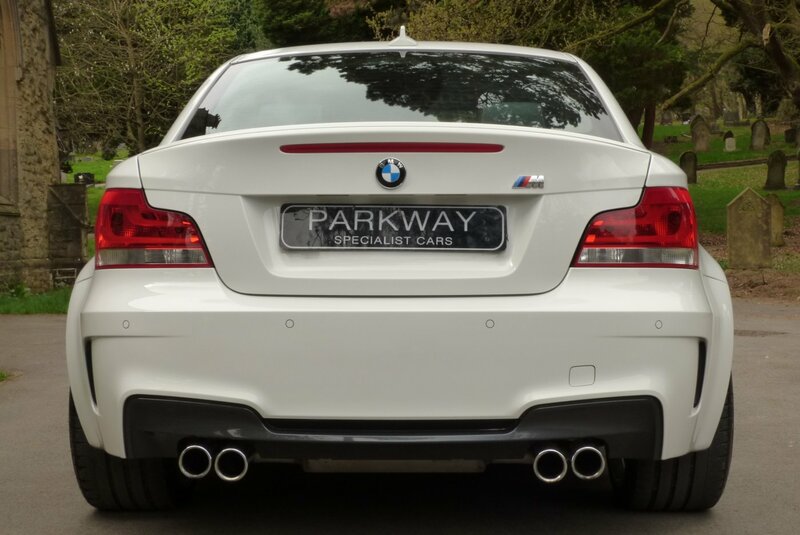 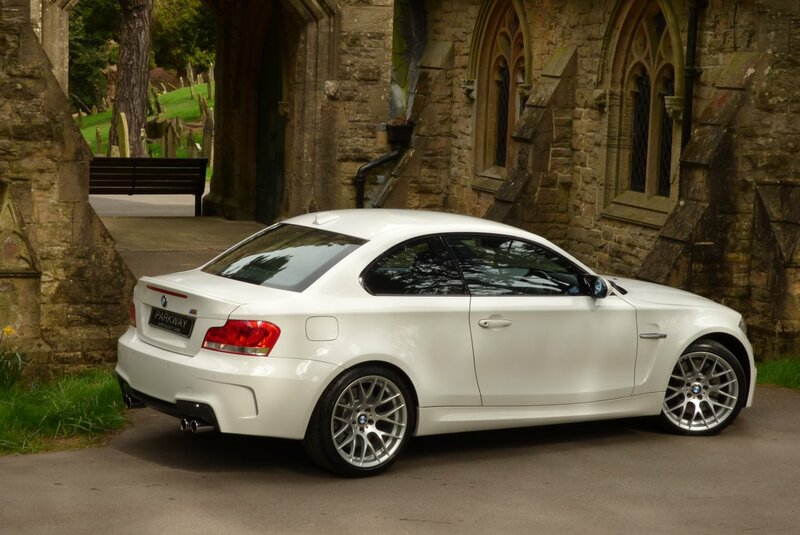 The 1M Coupé Had A Significantly Wider Track And Bigger Body Than The Standard E82 Coupe And With The Sensational M Power And Remarkable Grip, This Was And Still Is A Piece Of Motoring Brilliance. 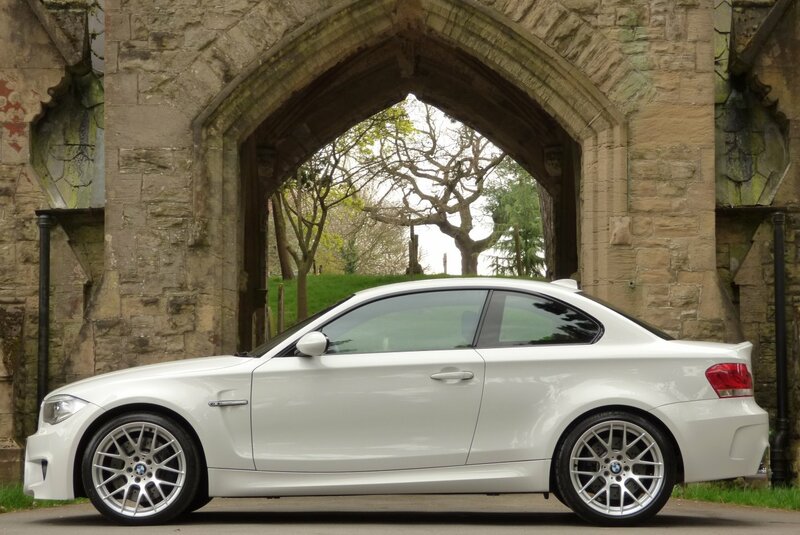 This Remarkable, Now Modern Day Classic BMW M Was Produced In Very Limited Numbers, With This Being One Of Just 450 Cars Ever Offered. 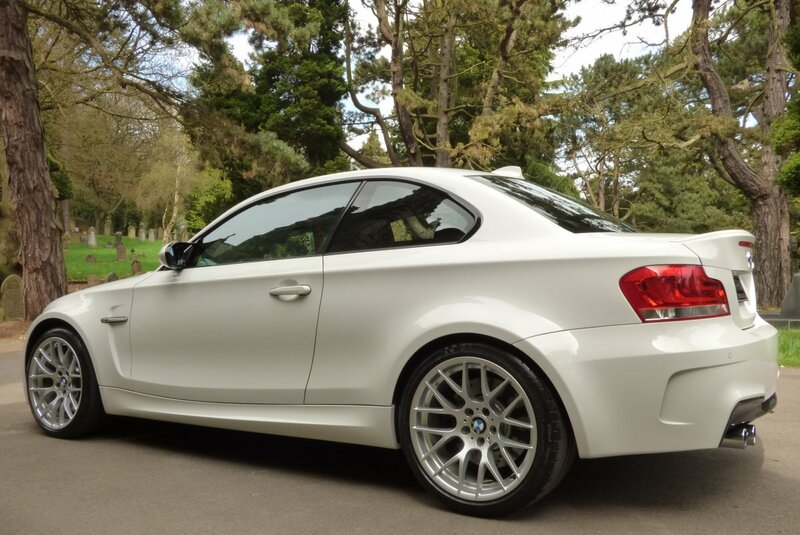 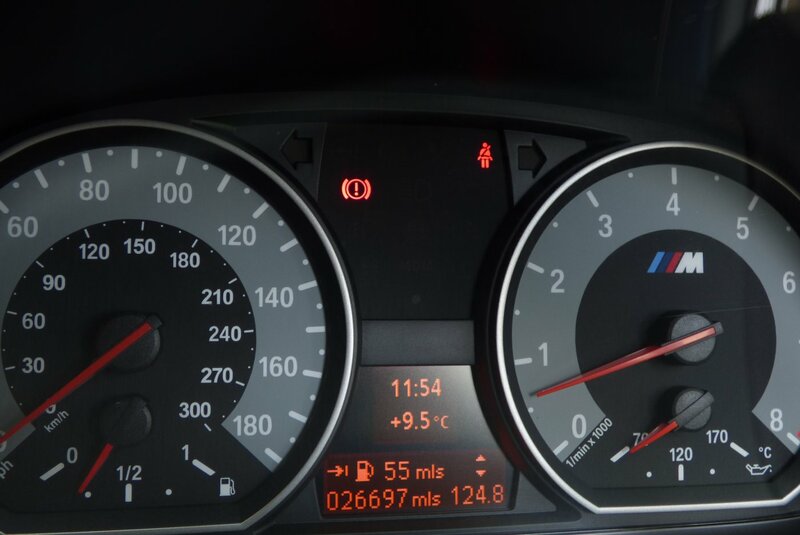 This Late Registered Example Has Perfect Provenance Having Just Two Private Keepers From New And A Full BMW Service Inventory With Historical Past Service History Recorded At 1238, 12393, 18704, 24039 & 26843 Miles And Has Just Recently Had Replacement Front Disc`s Completed, Ready For The Next Lucky Keeper. An Excellent Part Of BMW M History. 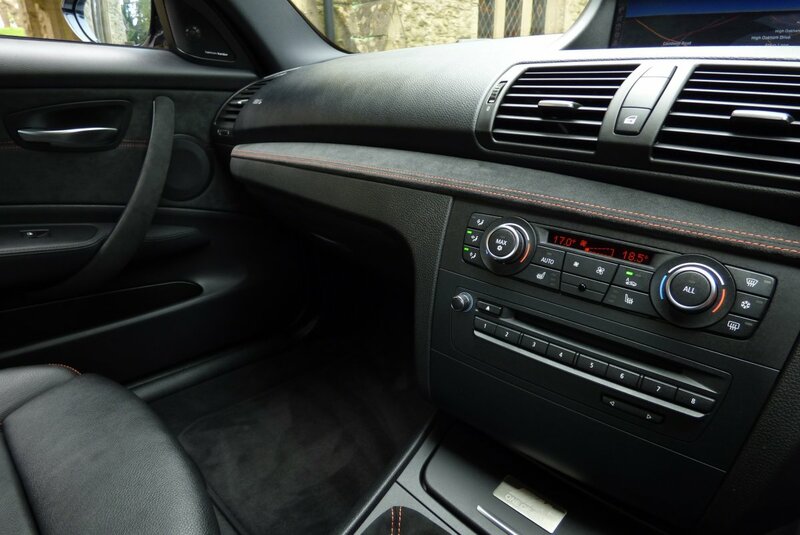 There Can Be No Mistakes To The Interiors Presentation And The Power Available In This Snug, But Comfortable Space. 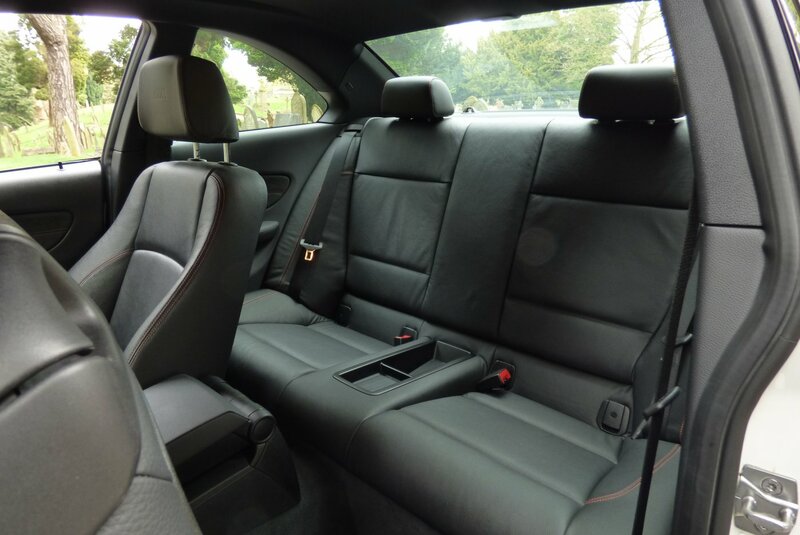 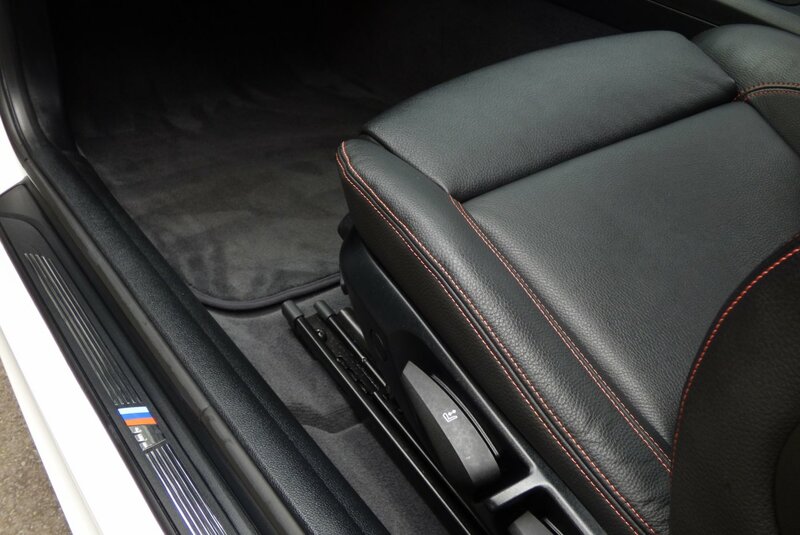 All 1M Cars Had The M Embossed Black Nappa Leather Sport Seats, Dark Suede Door Cards And Interior Inlays, Which Have All Been Perfectly Finished With Twin Needle Orange Stitch Detail. 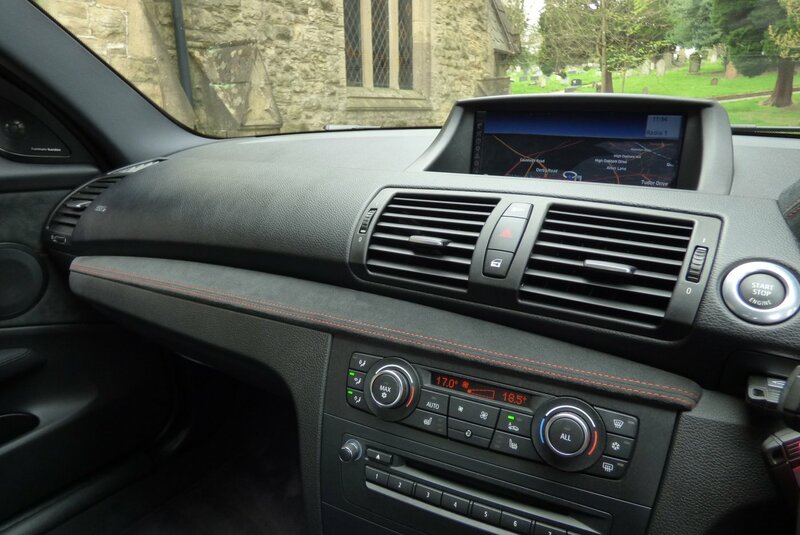 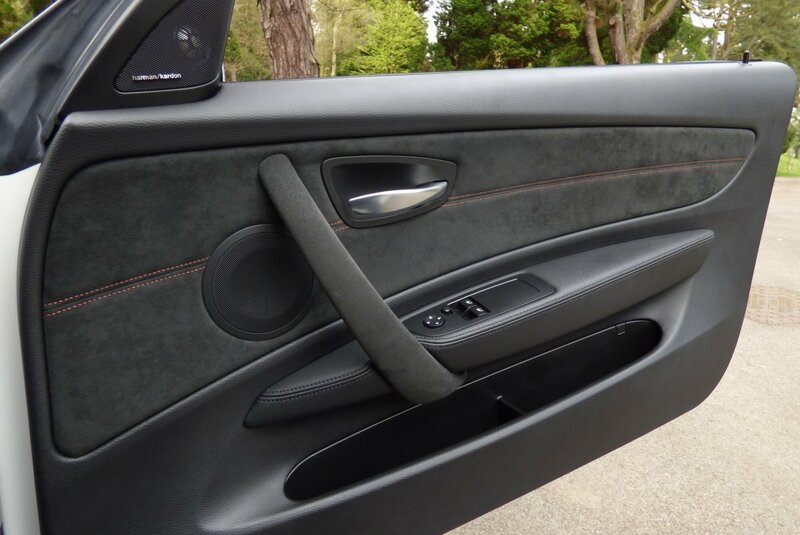 Furthermore There Is Subtle M Enhancements That Make The Cabin Quite Special, To Include The Limited Edition Plaque And Polished Internal M Door Sill Guards. 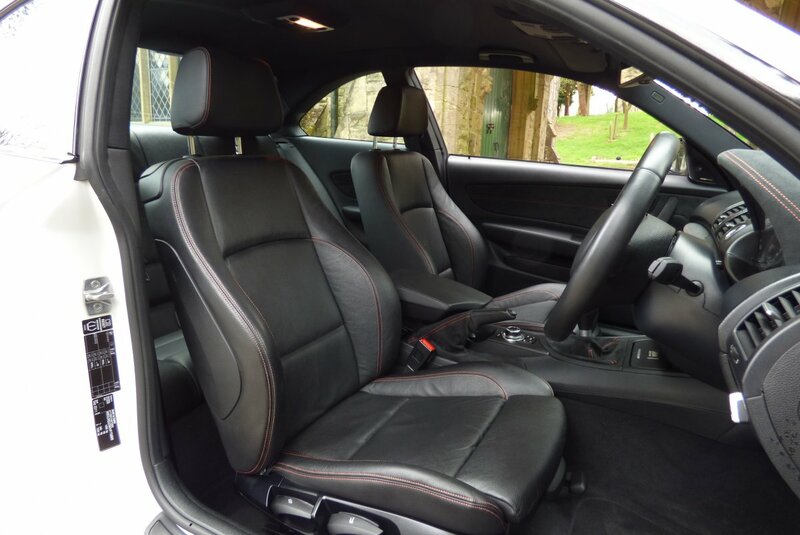 A Perfect Collaboration Of Power And Comfort. 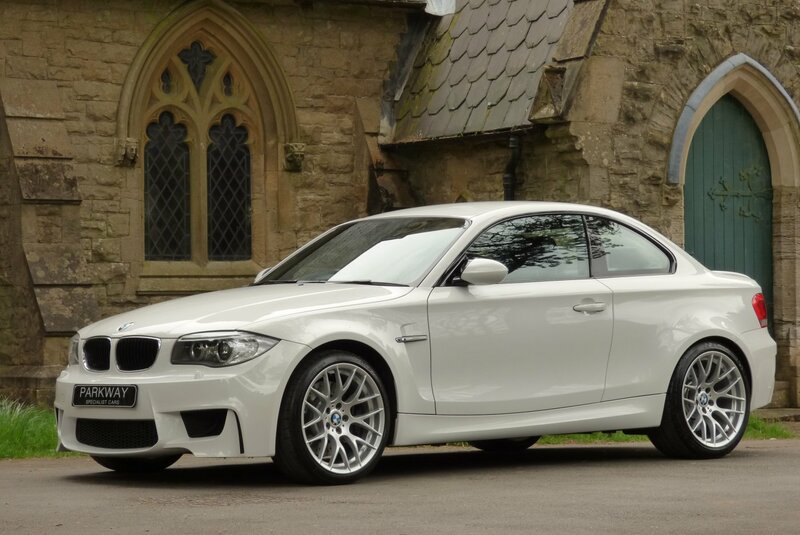 One Of The Best Looking Cars To Come From The M Factory. 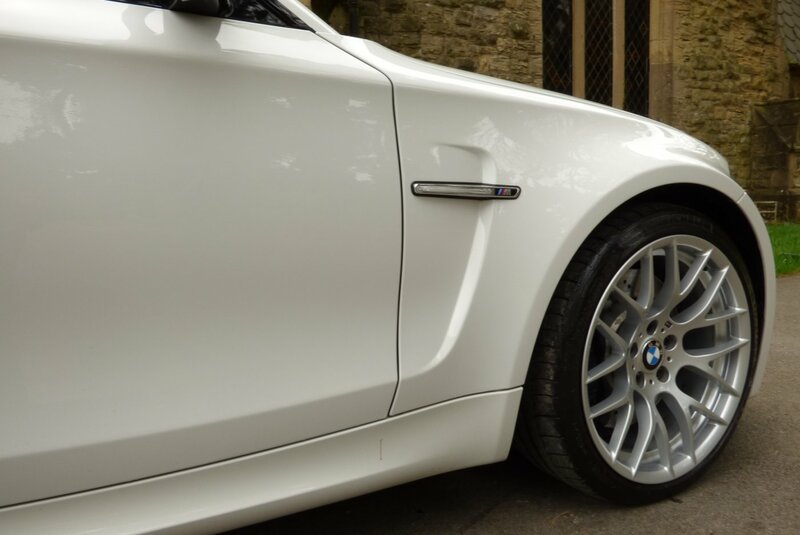 Our Car Is Finished In Porsche Alpine White, With A Contrasting High Gloss Shadowline, Which I Must Say Shows The Body Lines Off Perfectly. 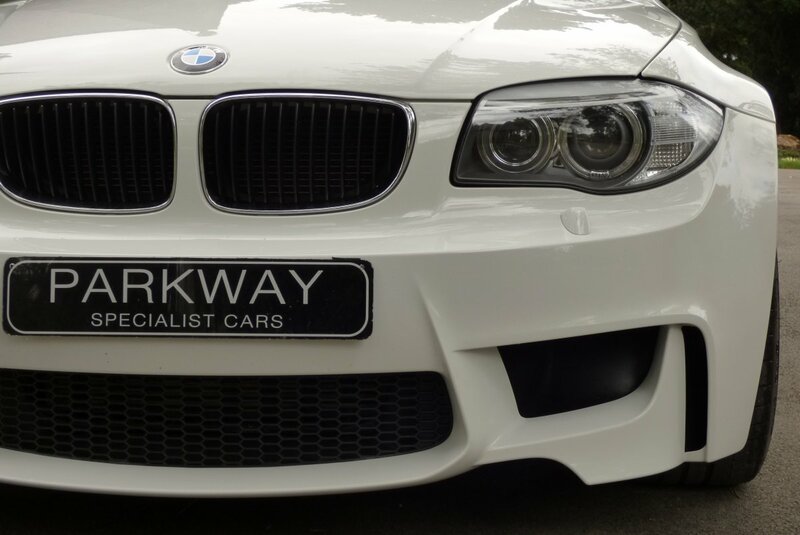 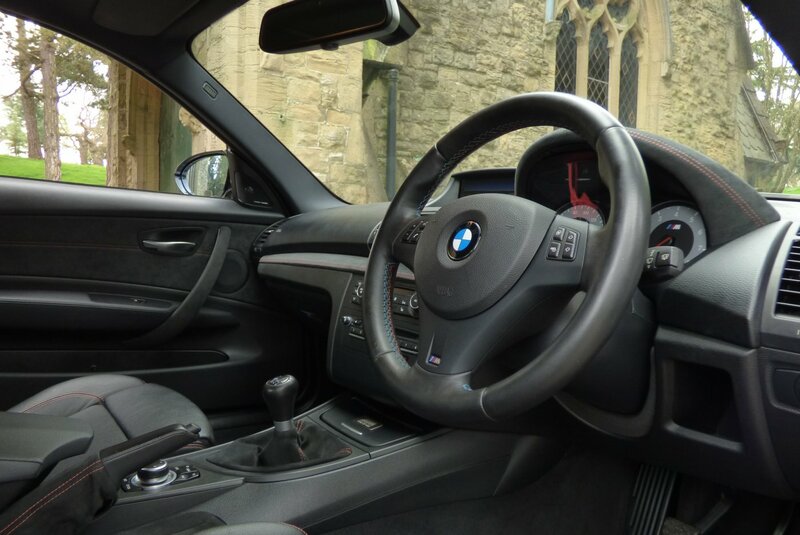 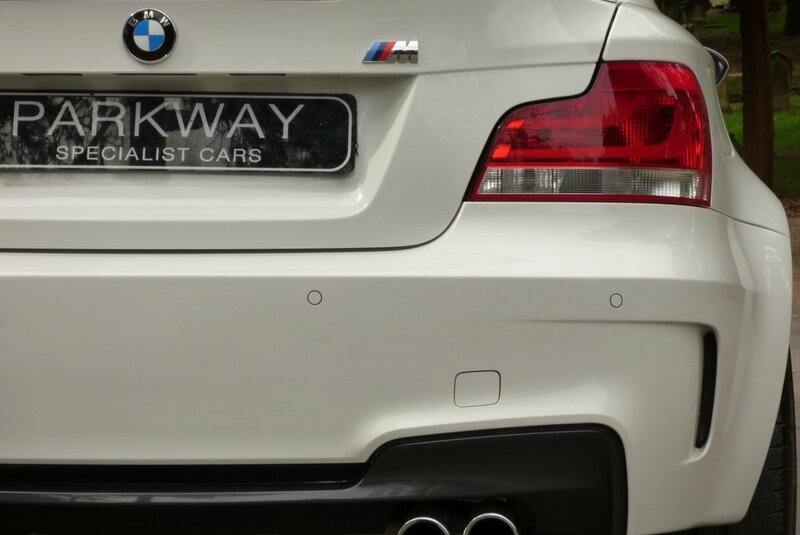 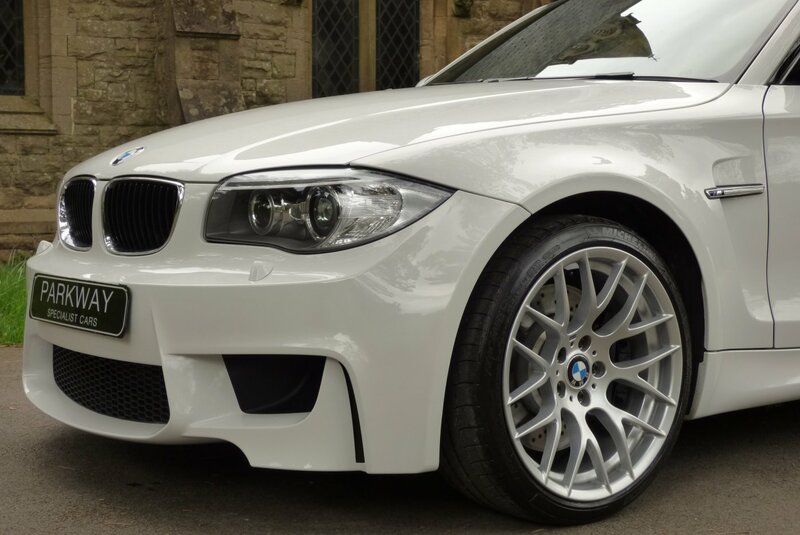 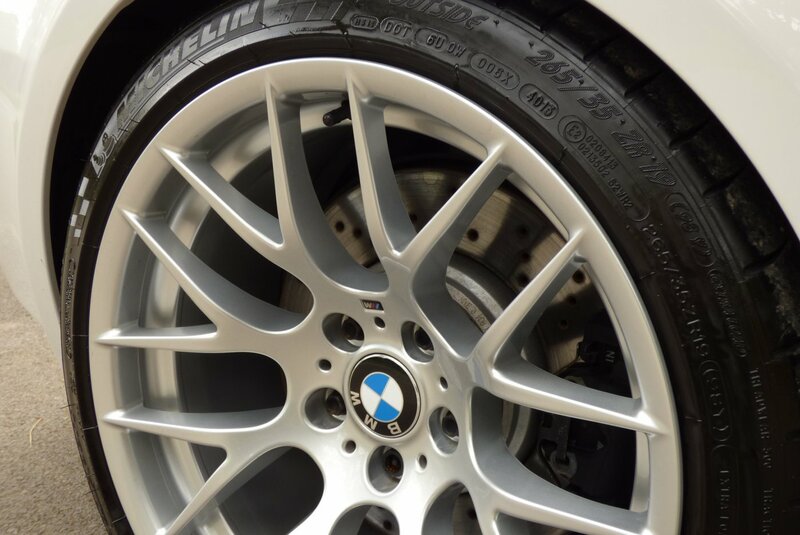 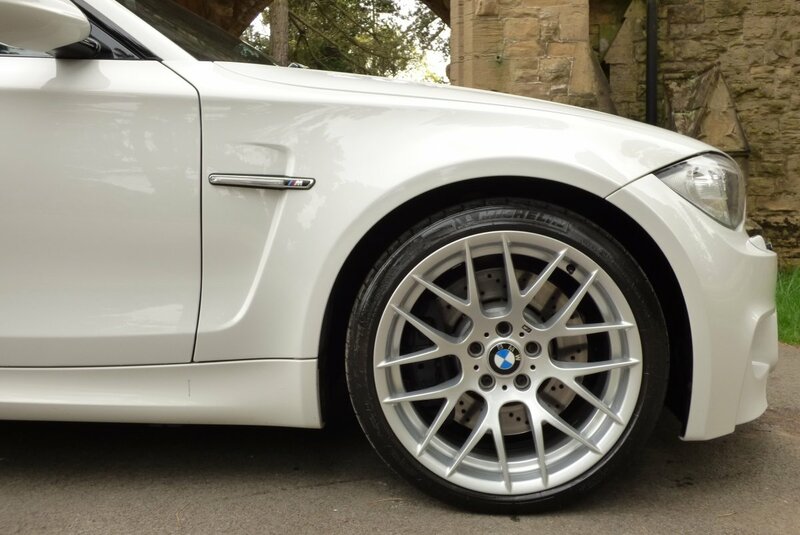 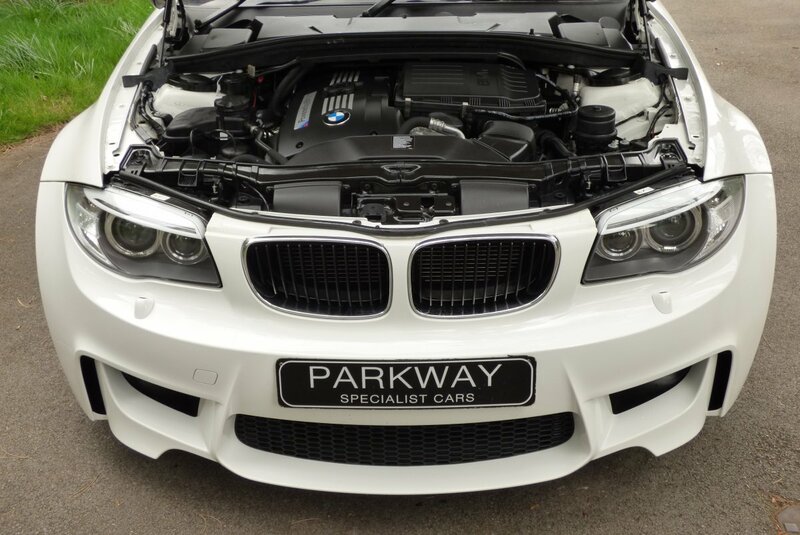 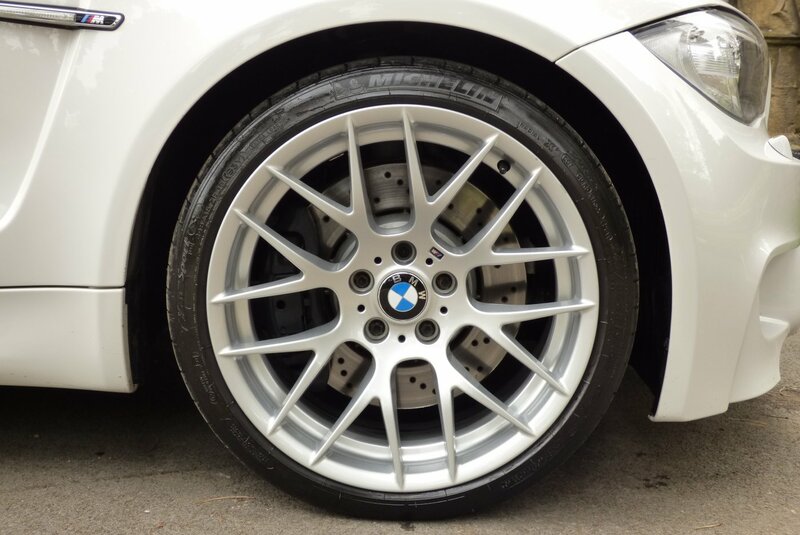 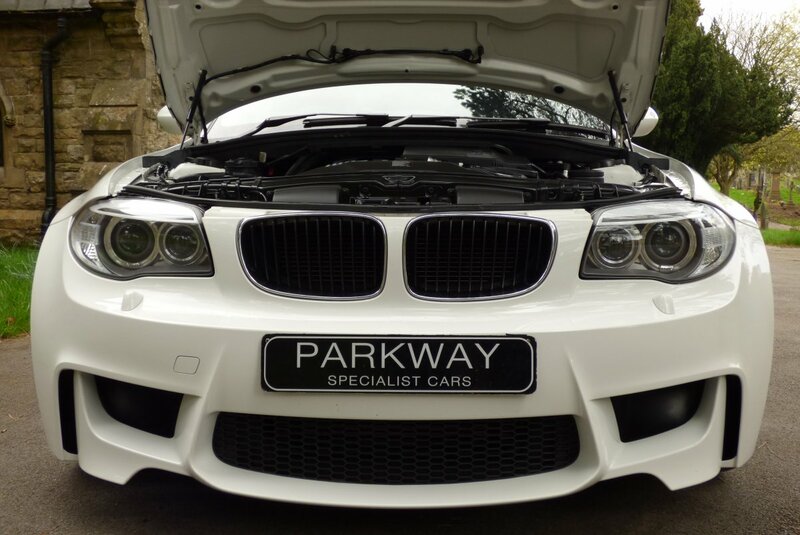 Furthermore The Distinctive Silver 19" M Light Multi Spoke Alloy Wheels, Quad Polished Exhaust Tips And Subtle M Badges, Give Those Final, But All Important Finishing Touches. 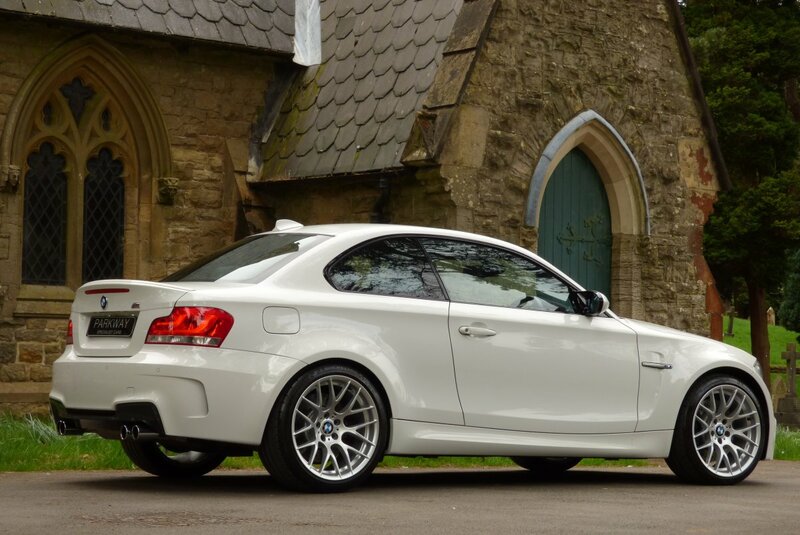 Absolutely Stunning From Every Angle. 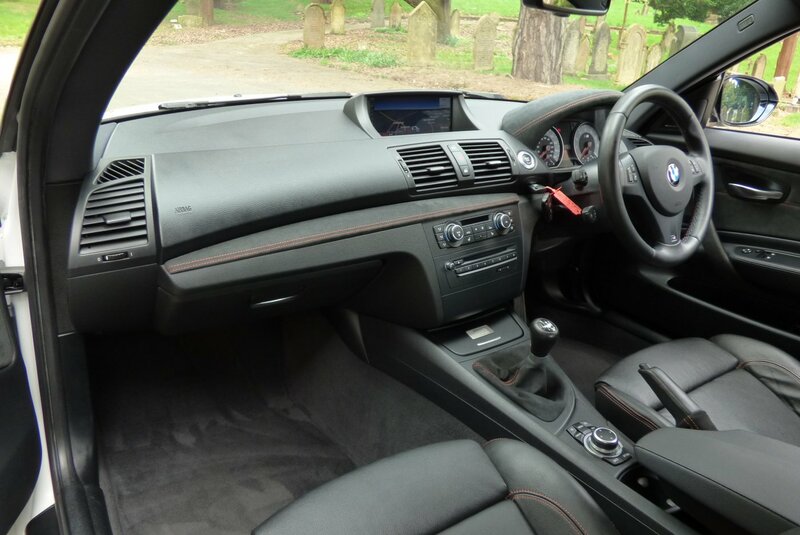 High BMW Factory Options Include The Full Colour Information Screen With Satellite Navigation System, Dual Zone Climate Control, Black Leather Bound M Multi Functional Steering Wheel Detailed With M Coloured Stitchwork, Rear Distance Park Control, Quad Exhaust System With Polished Tips, Cruise Control, Variable Heated Front Seats, Drivers Arm Rest, Harmon Kardon Sound Package, In Dash Multi Change CD System, Roof Mounted Shark Fin, BMW Trip Computer, 19" M Light Multi Spoke Alloy Wheels Which All Sit On Branded Tyres, Push Button Start, Chromed And Blackened Front Kidney Grille, Xenon Head Lights With Power Wash Function And Auto Settings, Exterior M Badges, Remote Central Locking With Alarm, High Gloss Shadow Line, Bluetooth Phone Preparation, Anthracite Roof Head Lining And So Much More. 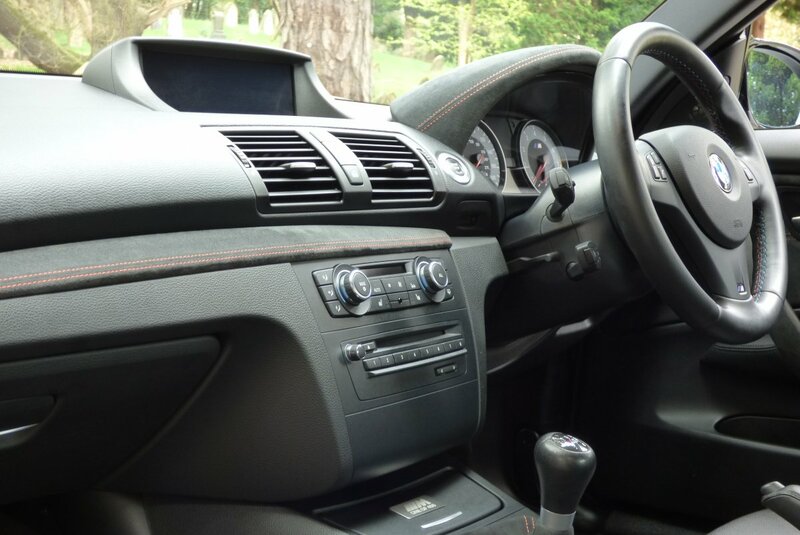 The Car Also Has Present The Entire Booklet Pack Set, A Fully Cleared Hpi Report And A Full Key Set.